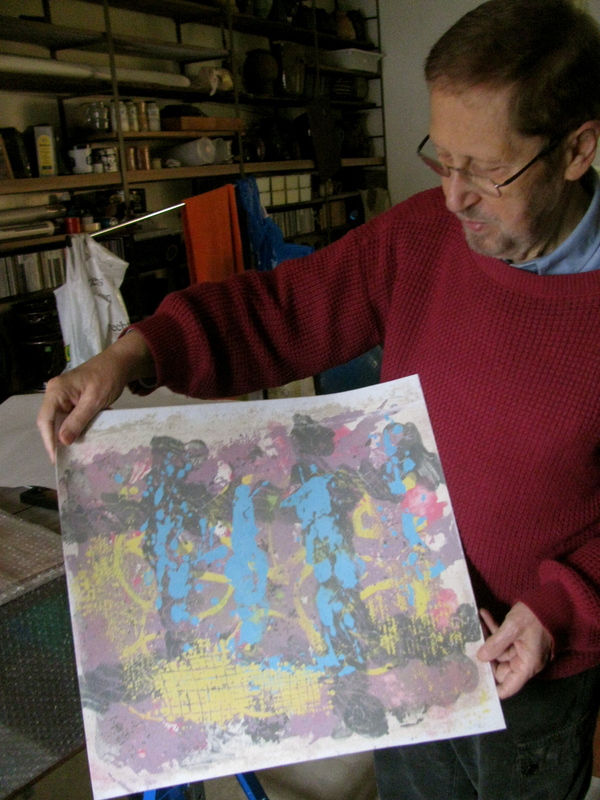 November 2011 – CREATE. PLAY. TRANSFORM. Muddy Hands in Sunny Boracay! 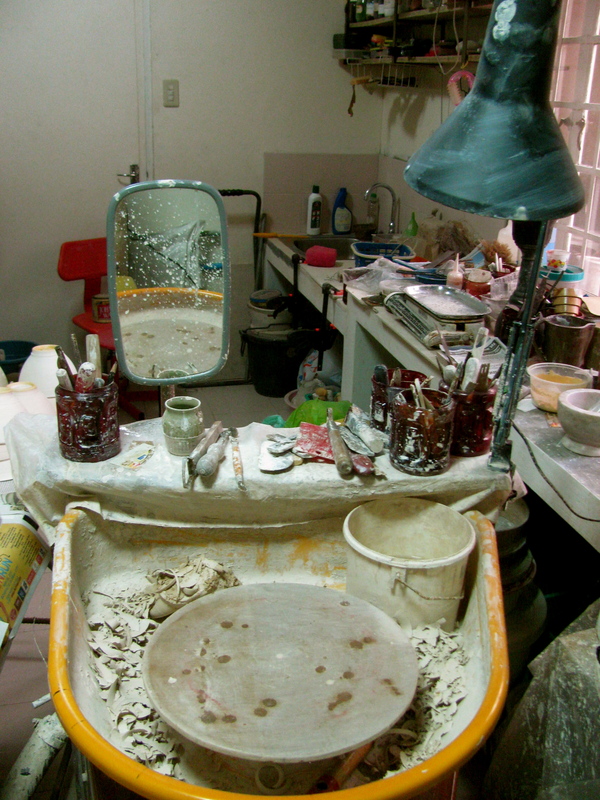 One busy day at the pottery studio, I decided to check my e-mail. I take breaks everytime my back starts to hurt from working too long with the potter’s wheel. 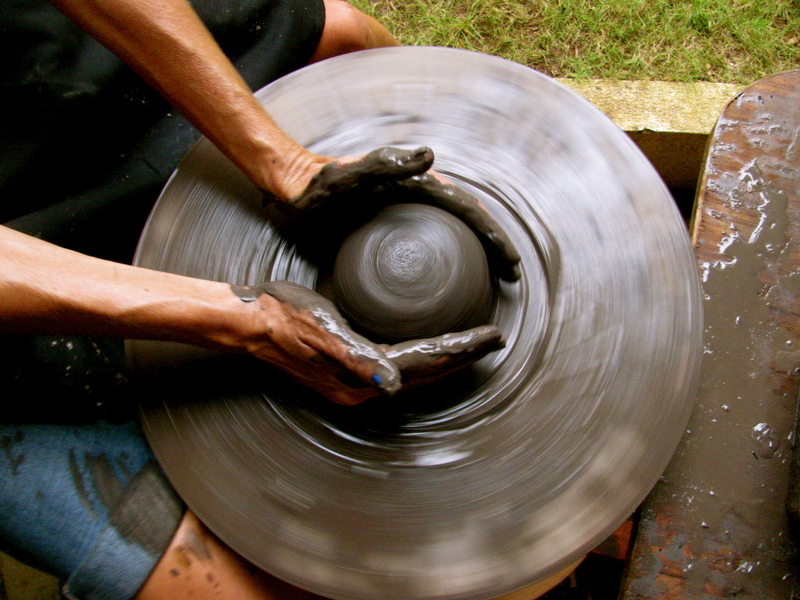 I received an invitation to do private pottery lessons in the beautiful island of Boracay. I didn’t think twice and set the date for my next trip in the country. I haven’t gone to the beach in a while, so this is really a wonderful treat! 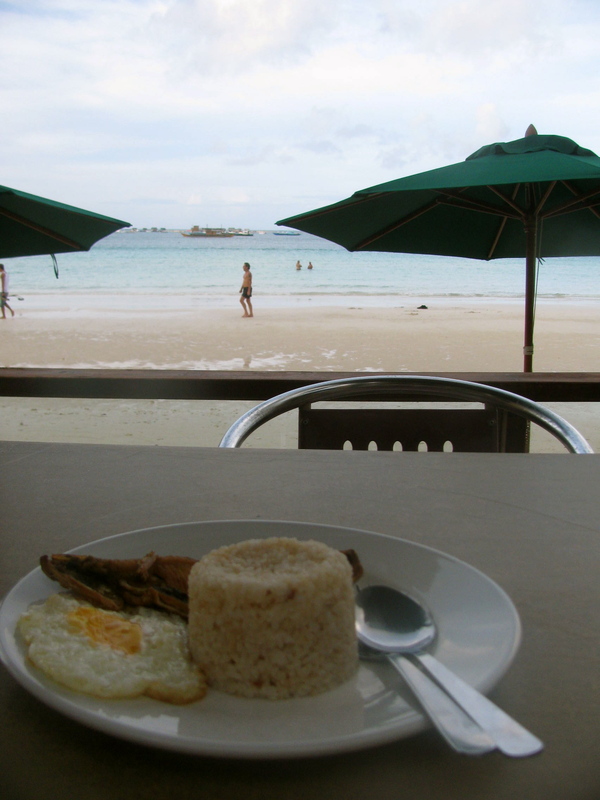 My first trip to Boracay was more than five years ago. I remember staying at the resort and didn’t go around the island that much. I’m such a mermaid and can stay in the water for hours. Well, not this time. I am going to the island to teach someone pottery. 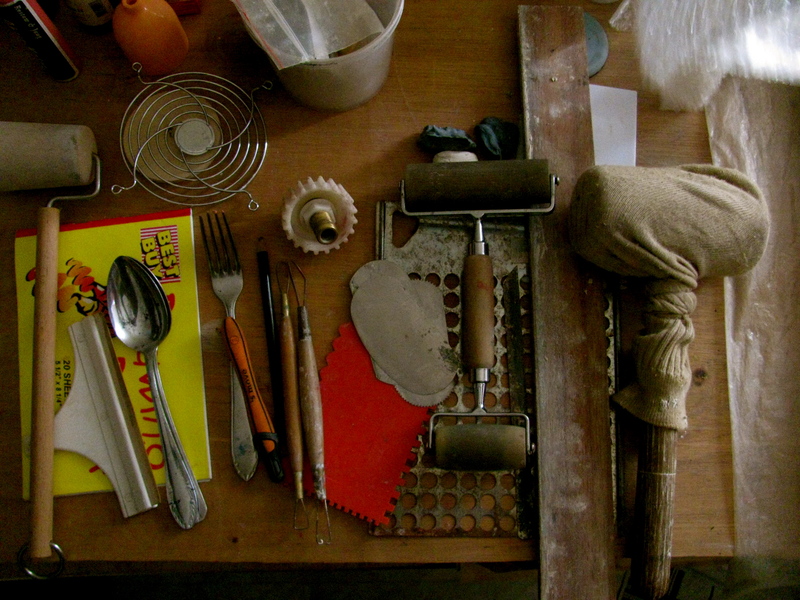 I am amazed that there is a clay enthusiast who actually lives there. 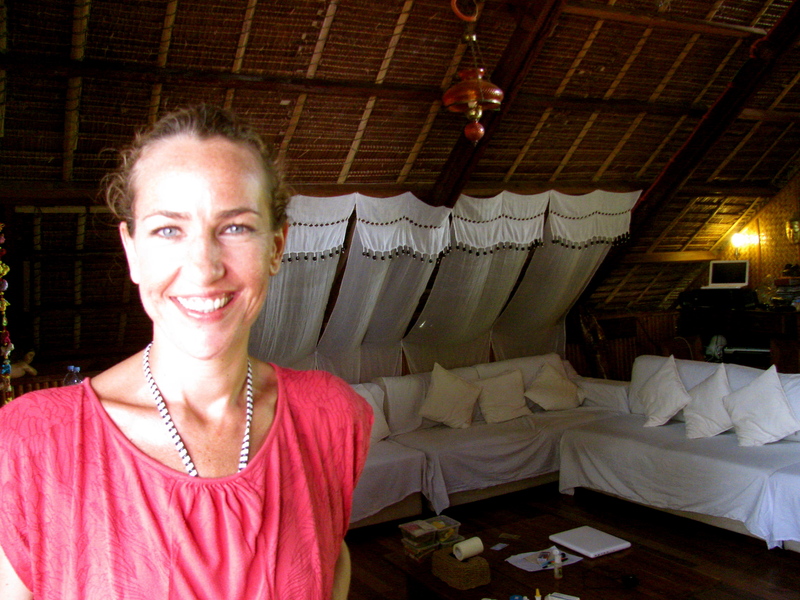 Straight from the airport in Caticlan, I went to Susi Trischberger’s hotel at True Home (Station 1). She was excited to see me and asked if I’m hungry. It was lunch time when I arrived. I was more excited to see her potter’s wheel and kiln, really. Sometimes excitement for anything related to pottery can make me skip my meals. But how can I turn down a good Italian meal at Aria? 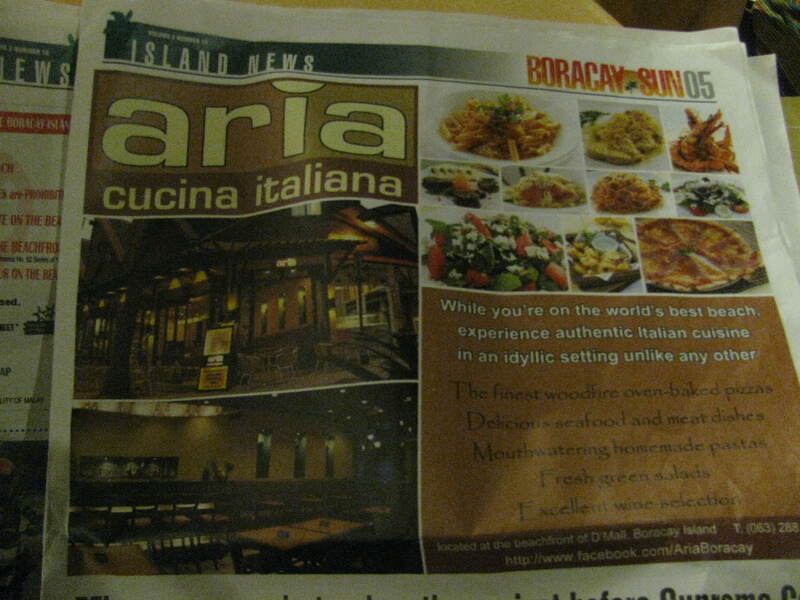 I’ve read other people’s blogs about the famous restaurant on the island. Now I’m hearing my tummy rumble. 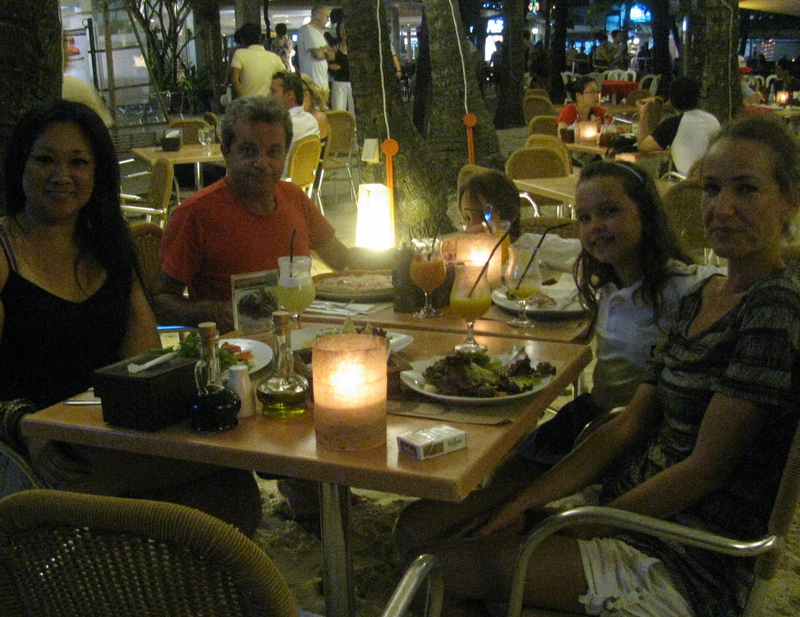 The Insalata Di Riso was light, which I really love. 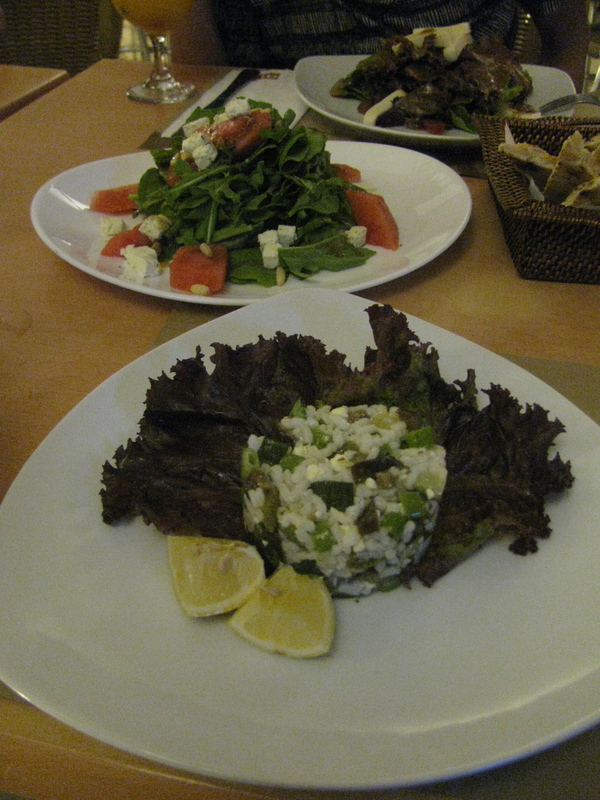 But the most special one for me is the arugula salad with cheese, pine nuts and watermelon. After teaching pottery on a very hot day, it felt cooler after having this meal. 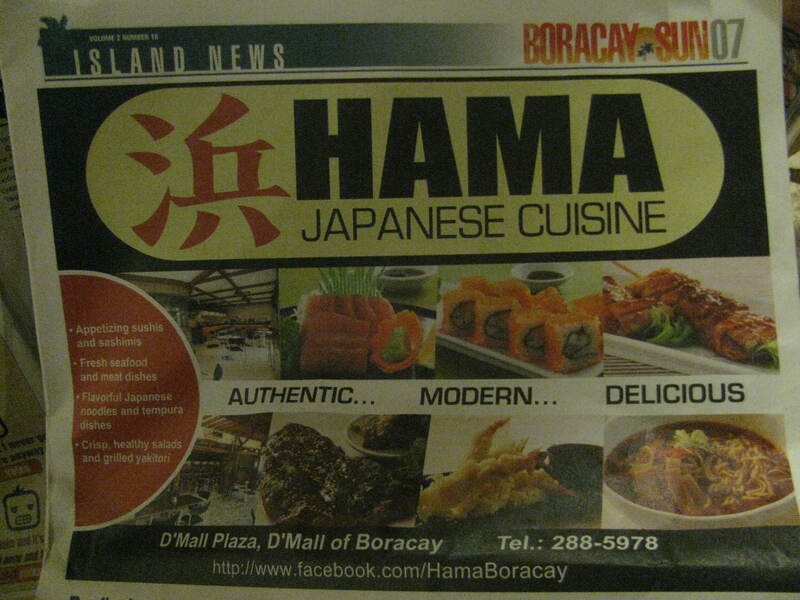 Hama is another restaurant, owned by Susi and Paolo. I definitely loved their sushi! After our lunch meal, we headed to Susi’s beautiful home. 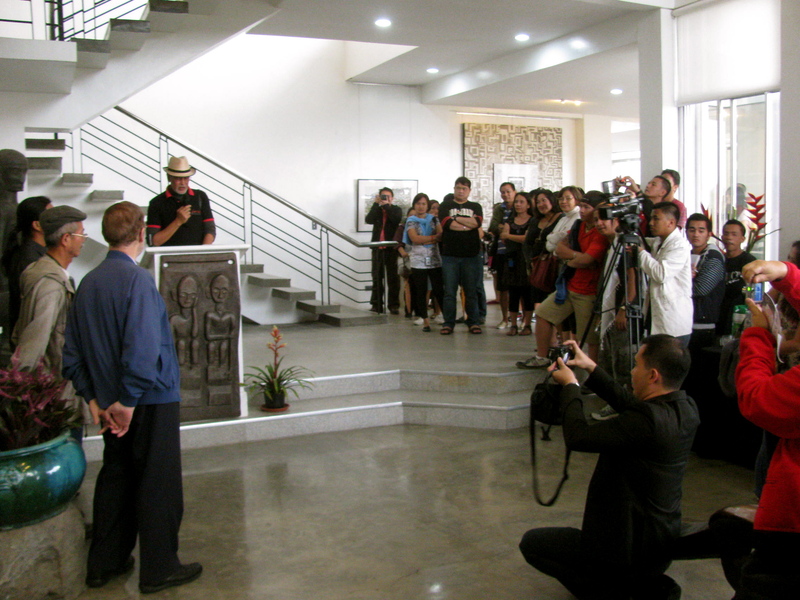 The house is designed by her partner, Paolo. It’s amazing how a beautiful home can be found right in the middle of D’Mall. The wooden door alongside the stores, leads to this awesome surprise on the island! I’m a huge fan of private homes, rustic and contemporary. She gives me a tour and take everything that I see and touch with so much gladness. Here’s one of Susi’s creations. 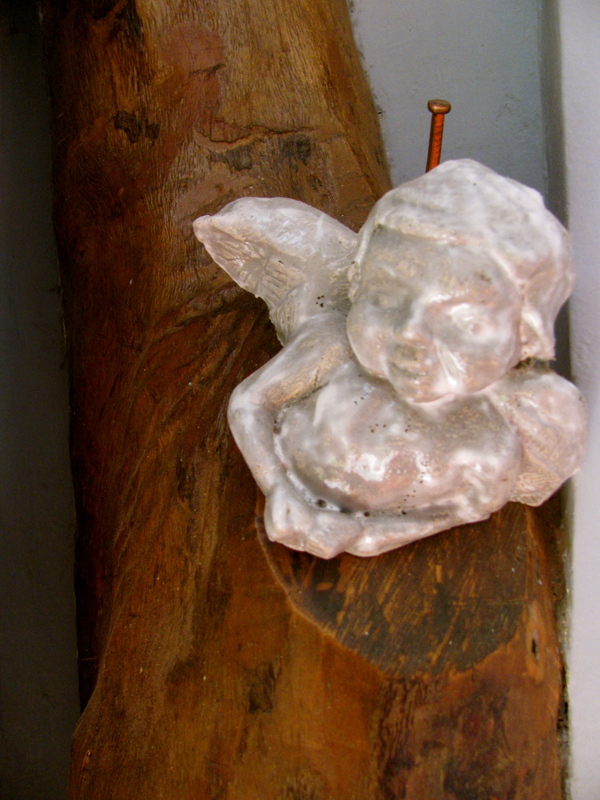 Hanging on the corner of the main entrance to the house. 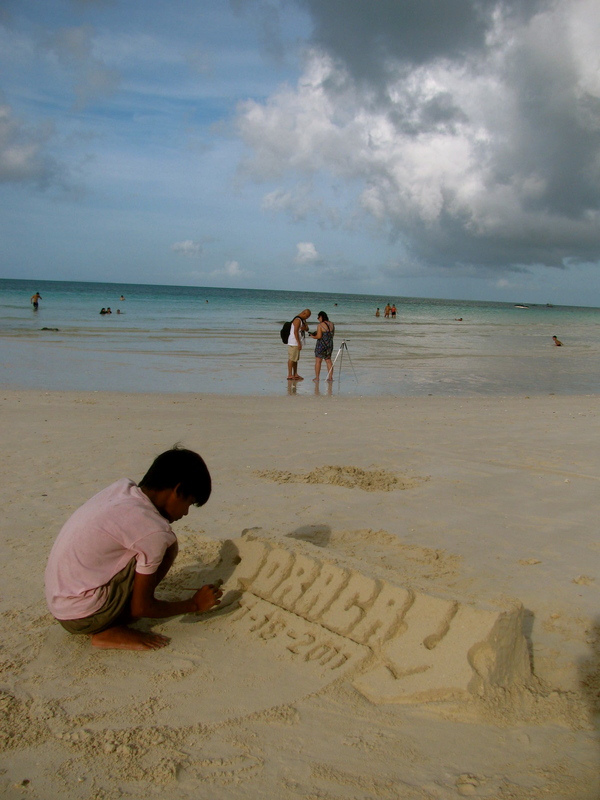 Who would’ve thought that a clay enthusiast lives in Boracay? Our paths definitely crossed for a reason and a great purpose. She has been struggling with centering her clay on her own. With just a few tries and a lot of my supervision, she finally gets to center her clay! All you need is a lot of patience, which a lot of us may not have. But it is something that can be acquired through time. 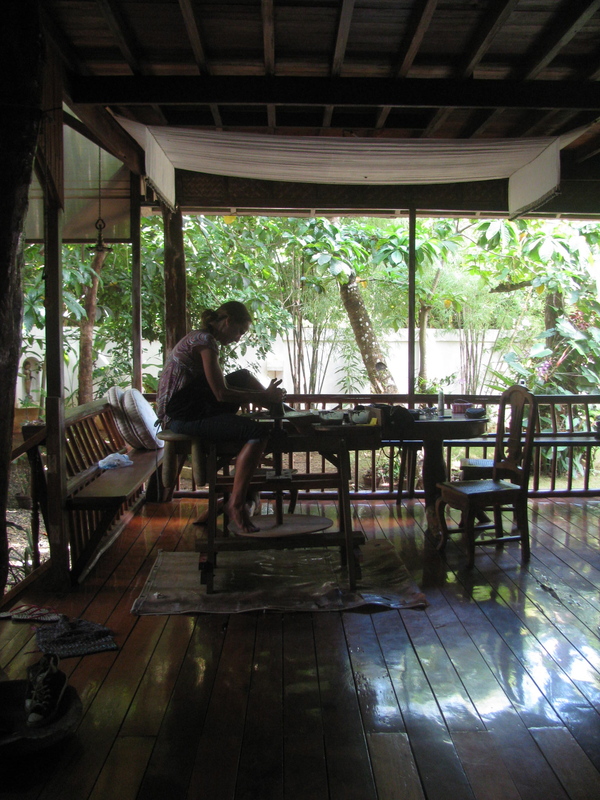 After lunch, Susi and I take a break from pottery. I make sure that I walk around the island and swim in its turquoise colored sea. It’s hard not to think about the beautiful sea while I was getting my hands dirty with clay. 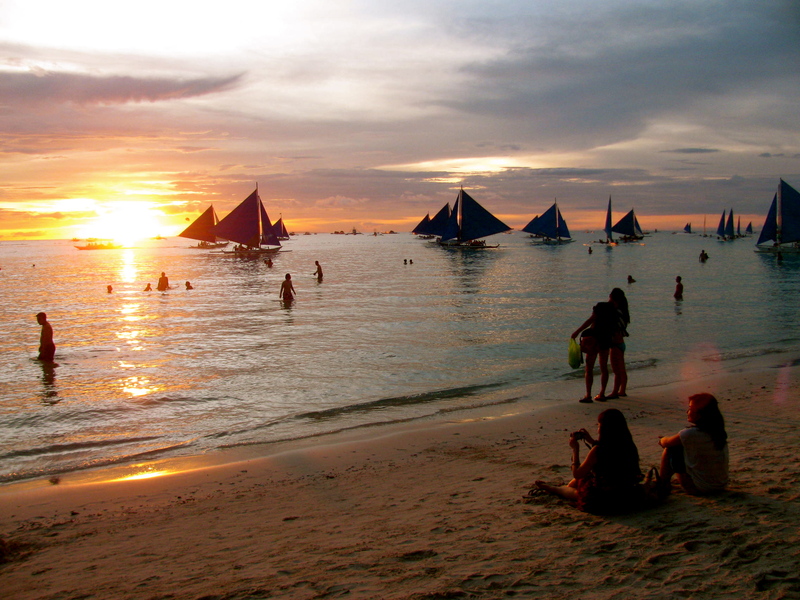 I love sunsets and it is now official that a sunset view in Boracay is one of the best I’ve seen in The Philippines. Our second session, the next day, was right inside the house. It rained the previous day and we’re hoping for a better weather today. I arrived at Susi’s house before 10:00am and there she was on the wheel, centering her clay with great concentration and confidence. Centering the clay needs a lot of focus. 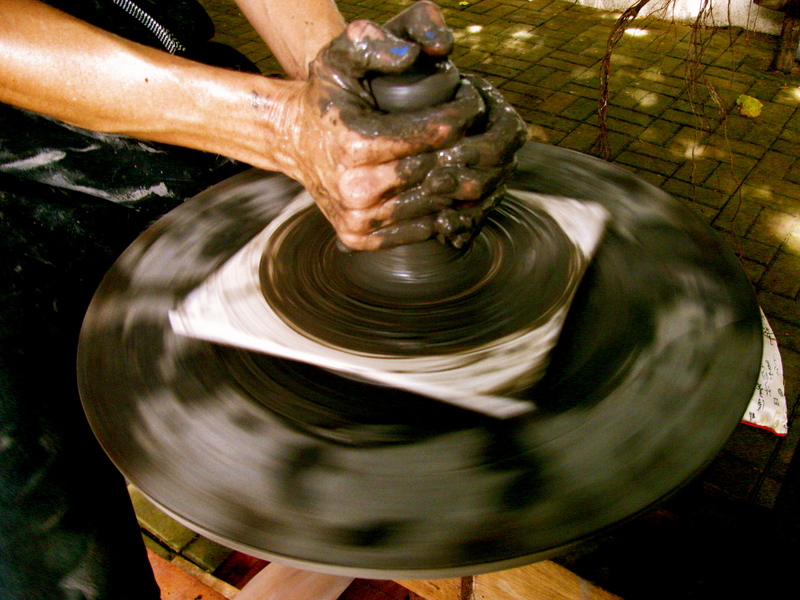 Sometimes one has to look away to feel the clay spin between the hands even more. 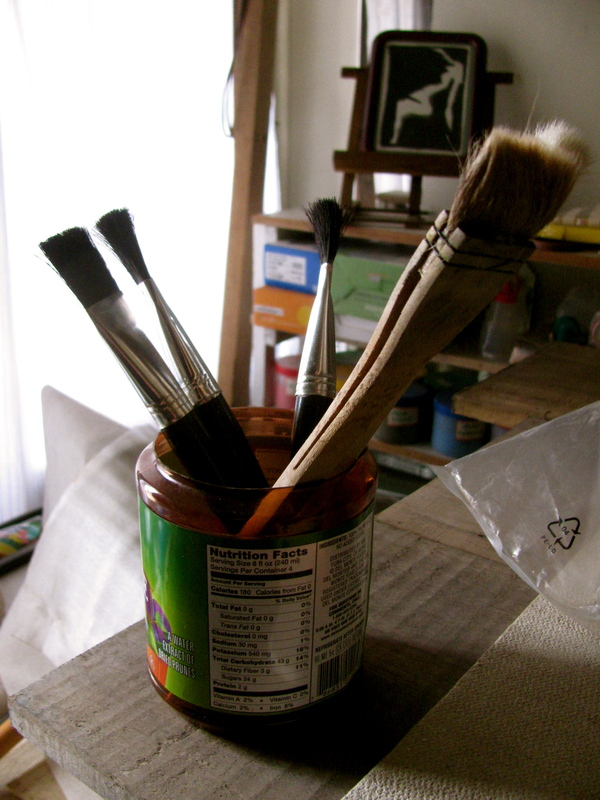 I did the same almost ten years ago when I was a new pottery student. It works most of the time. I make sure that I stay close to my students as they learn pottery. There are students that want to be left alone. Some want me right next to them. 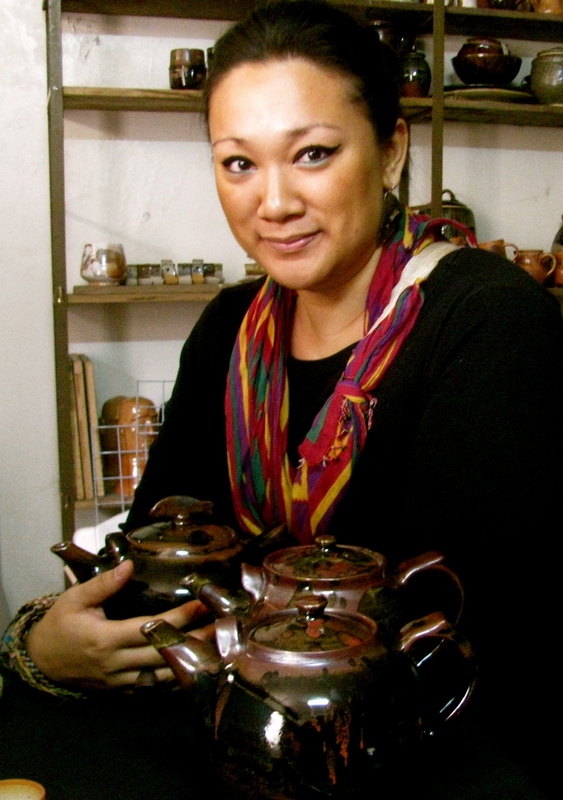 In Susi’s case, I can see her confidence more when I watch her throw the clay. I was the same with my teachers in the past. It always helps to have a teacher close by. Chef Marino just arrived from Italy for Aria in Manila. Had a great time chatting with him during our afternoon sunbathing with his wife. A very passionate man in the kitchen. Loves the island and city life too! Aria is opening at The Bonifacio Global City in Manila very soon! Paolo Occhionero is Susi’s partner and it was great meeting him. 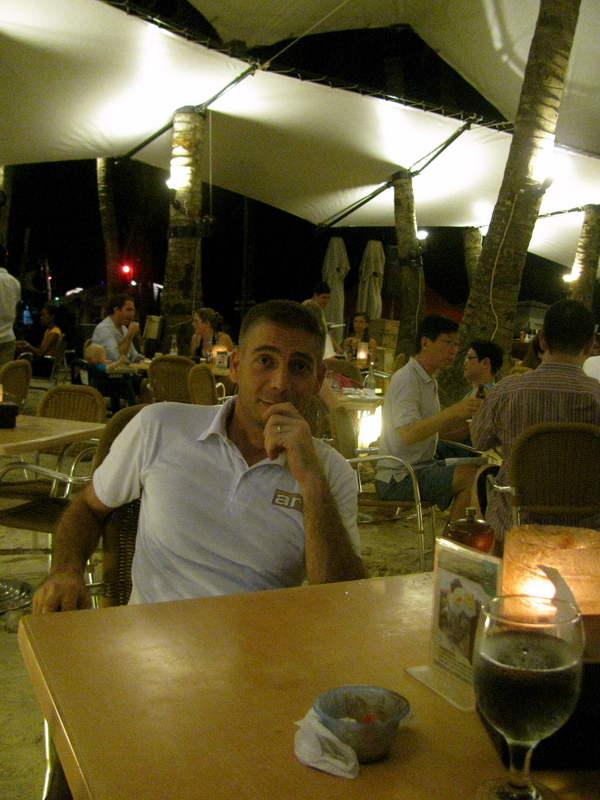 Born in Italy, he travels a lot in his twenties and fell in love with Boracay. The first time he has set foot on the beautiful island, he knew that he was going to live there for a long time. No electricity, no establishments, only white sand, and the blue sea. 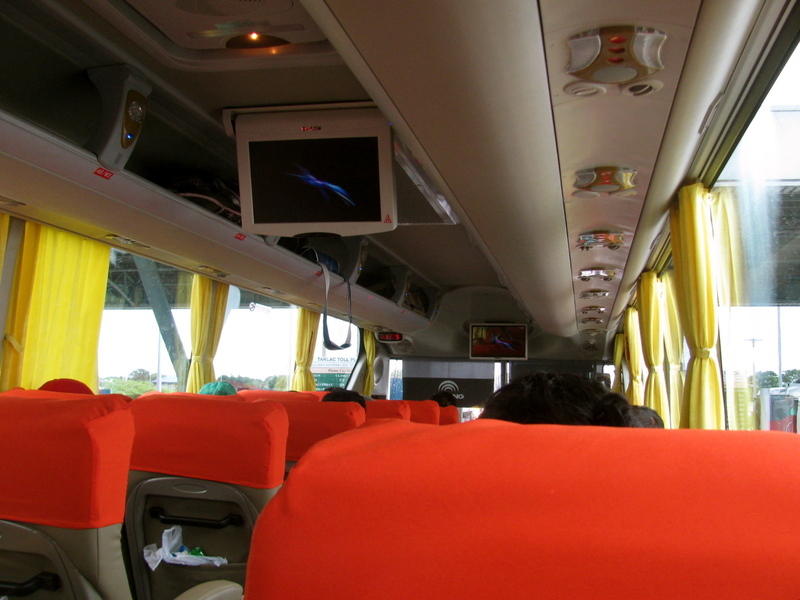 Along with other travelers,they brought into to the island, the things they are very passionate about. 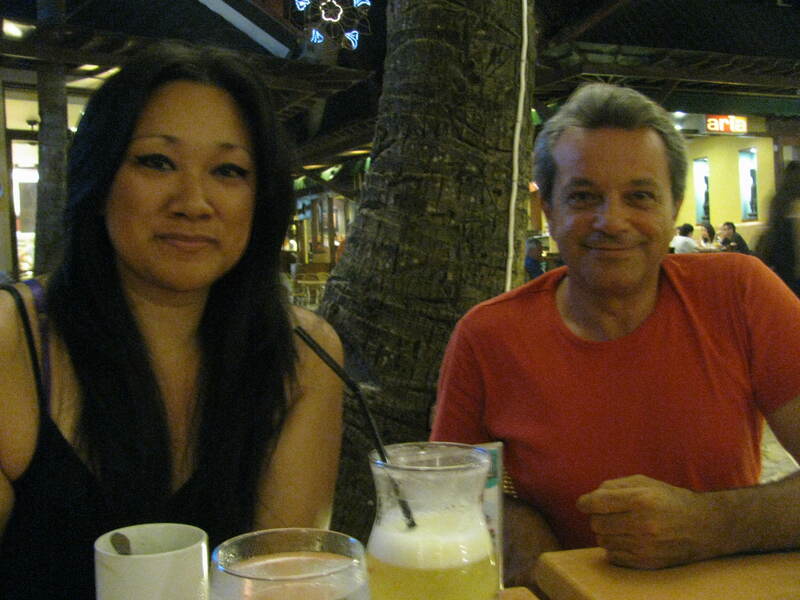 Paolo owns several restaurants on the island: Aria, Hama Japanese restaurant, a cafe, bakery, True Home hotel, True Food, etc. They also have a farm that grows some vegetables for Aria. I am looking forward to see the farm and your private beach next time! Paolo, your sense of humor is amazing! Thanks for making me laugh while being so relaxed. Just what I need! 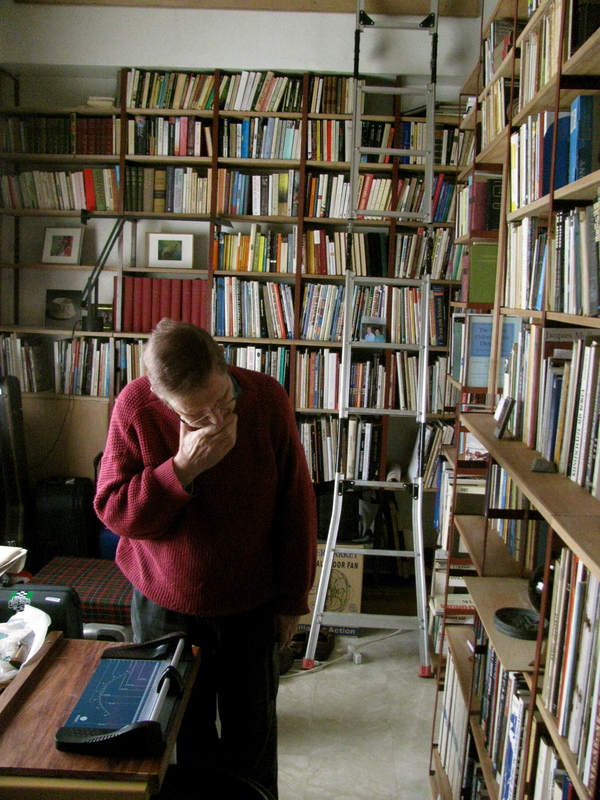 Susi, thank you for all the stories that you shared with me. 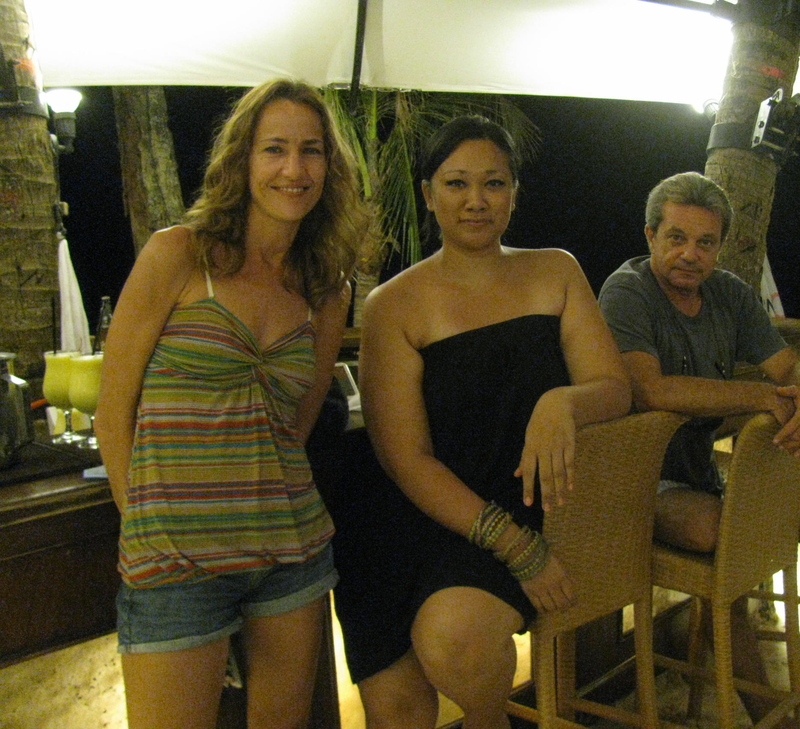 Your kindness and warmth really made my stay in Boracay very relaxing. There are great plans for 2012 and I am looking forward to meeting the Ati people. I can’t wait to see their hands get busy with clay. 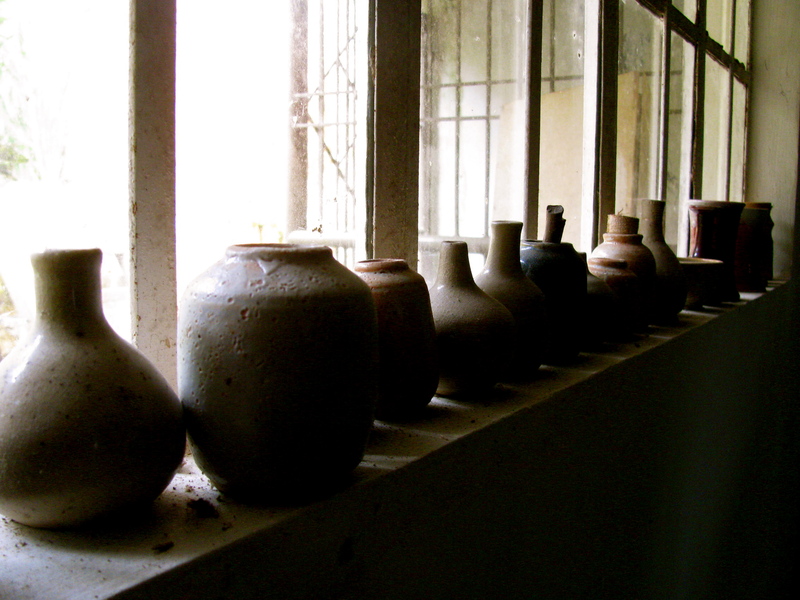 I know that they will love pottery and everything that goes with it: patience, passion, and transformation. 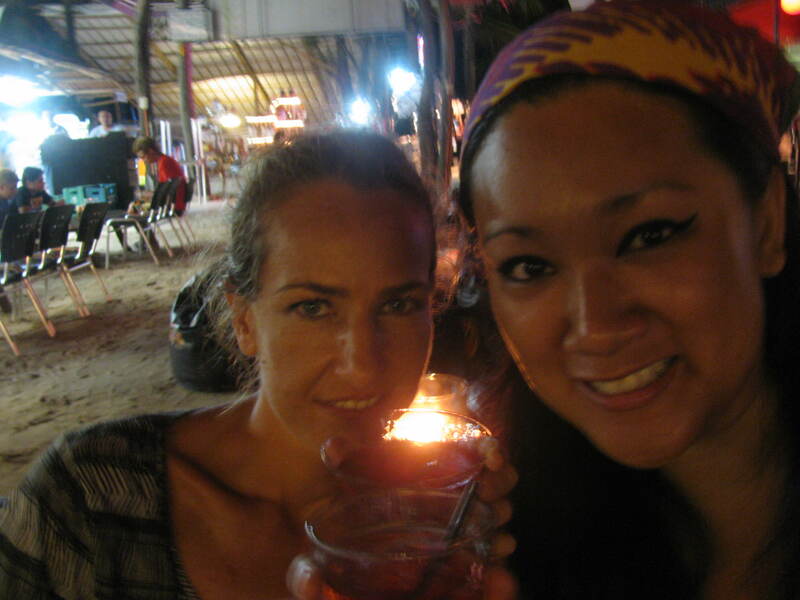 Cheers to transforming clay in Boracay! Everytime I do my morning walk, I always see something new. I only see this image on other people’s photos. I can’t believe how great I felt after seeing it with my own eyes. I wish I had clay with me in my hotel room. I would’ve given them all to these kids and see what they can make from a lump of clay! Next time, I will surely bring extra! Nature is not going to be a problem in finding inspiration to form pieces out of clay. They grew up seeing the sea, walking on the sand, trekking mountains, and climbing trees. I can’t wait to meet them all again someday. 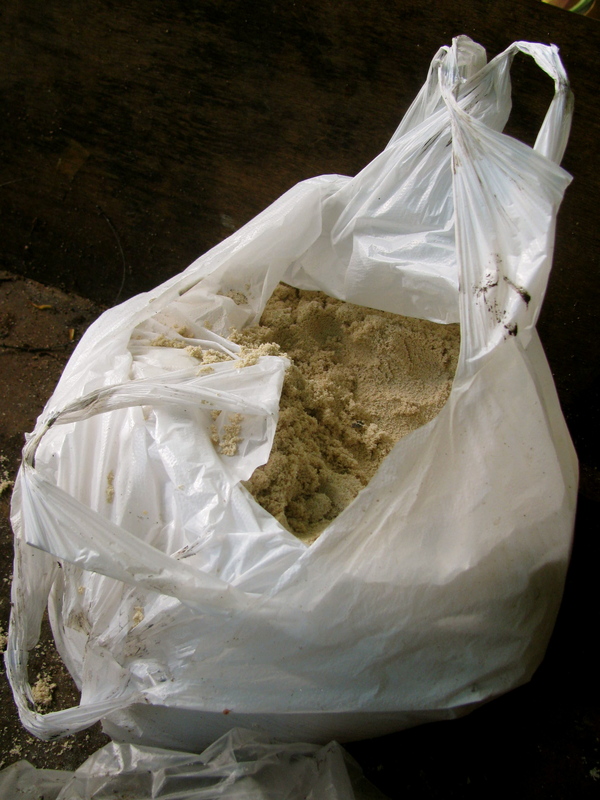 In one of my e-mails with Susi, I asked her if she has sand that we can add to her clay. And for a second, I thought, “Wait a minute, there’s an island supply of sand there! Mia! Mia! Mia!” During one of our sessions, we asked her helper to fill the plastic bag with sand and it was definitely more than enough! Sand helps the clay to become stronger, most especially when one is using it with the potter’s wheel. 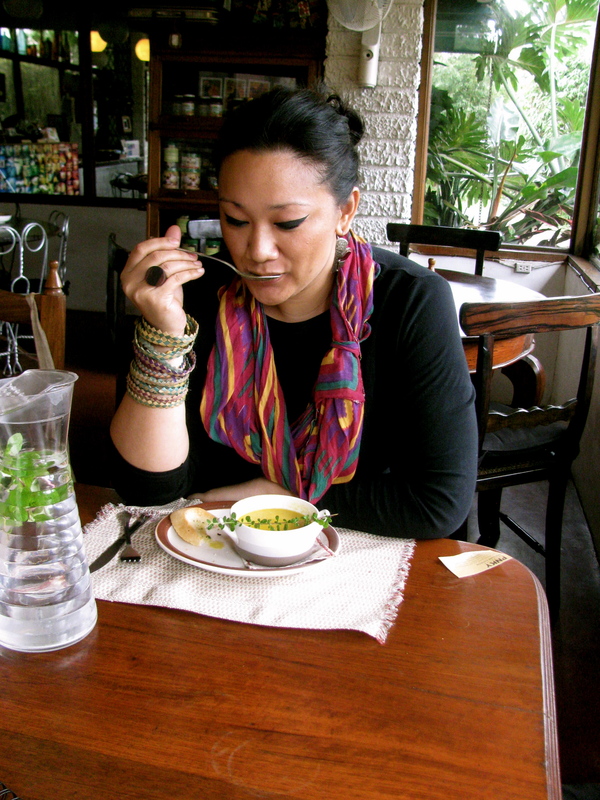 Susi starts to add sand to her clay from Iloilo, Philippines. She kneads her clay too, to make sure that the sand is well distributed all throughout the earthy material. 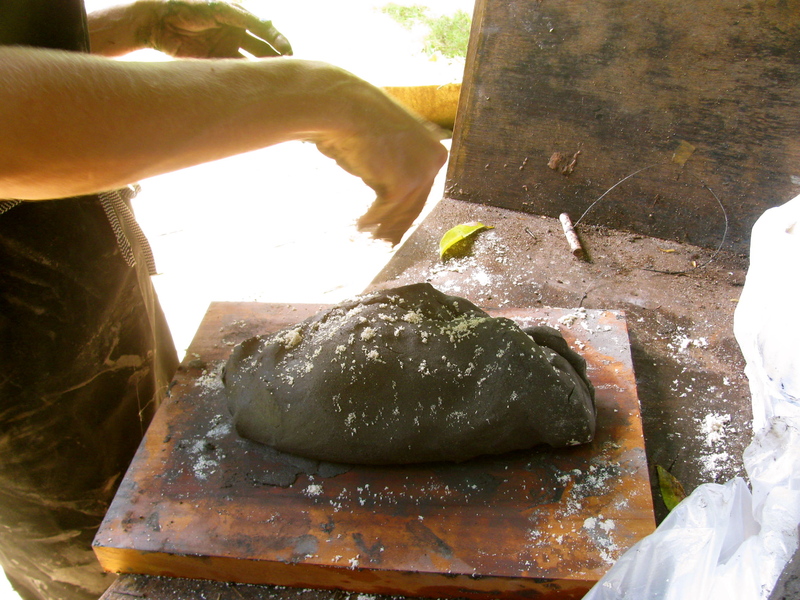 She also wedges the clay by cutting it into loaves, and make sure to put sand in between them. The clay was very soft when I felt it between my fingers. We let them sit right under the sunlight for several minutes. I make sure that my students still do something, while waiting for the clay to get dry. 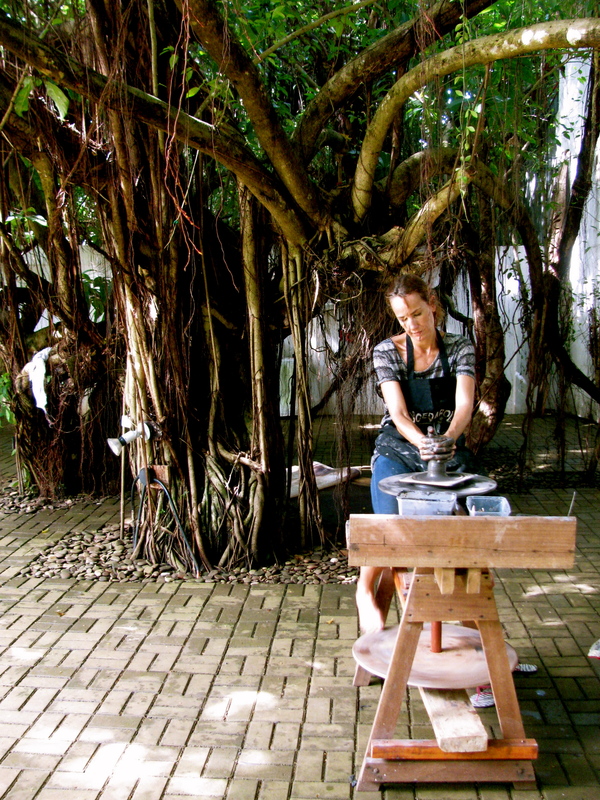 Susi trims her pots as she waits for her clay to get dry and become stronger. It’s always a joy to see students become very passionate about making pottery. It encourages me a lot to keep teaching my passion to other people. When they ask for help, when they ask questions, when they laugh, when they get frustrated: these are things that keep me going. 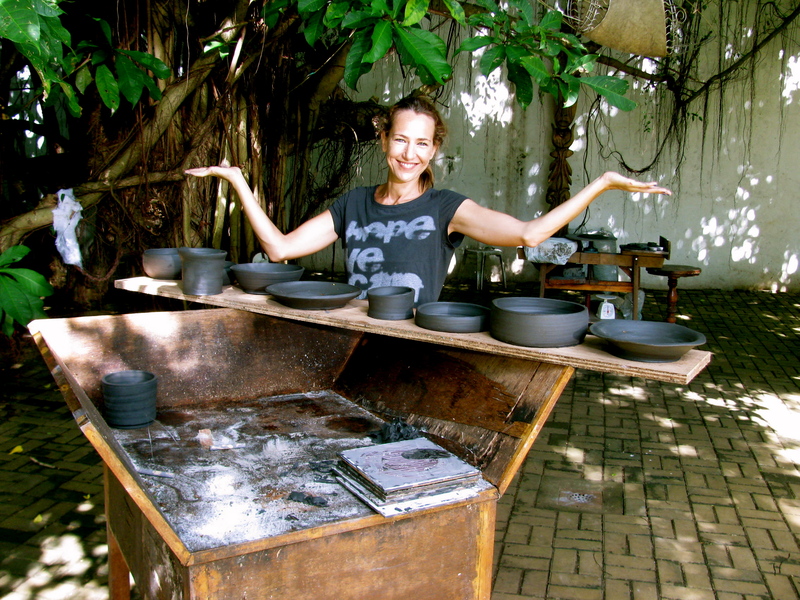 You can do pottery in your garden, inside your home, in the backyard, front yard, etc. 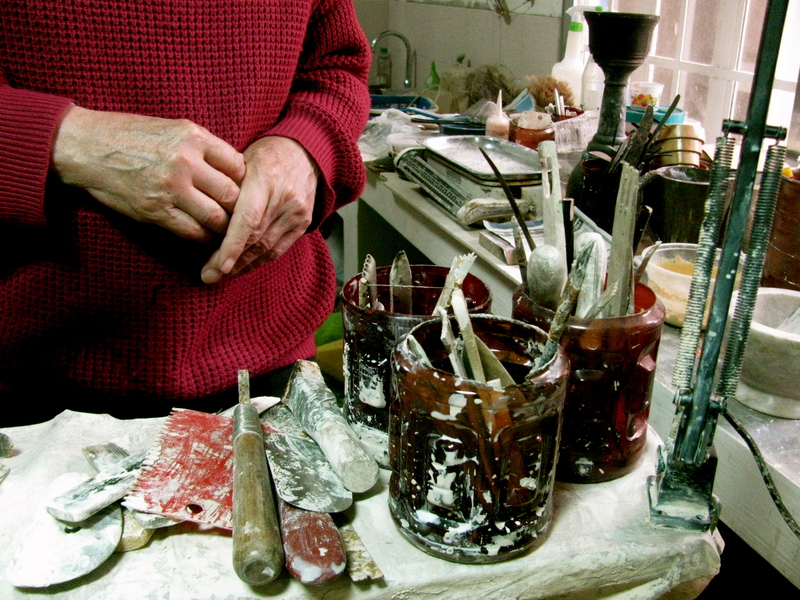 The location doesn’t really matter because once you feel the spinning clay between your hands – it will surely take you to a personal place, right within your soul. What will matter most, is the clay that is being formed between your hands, and how you feel as you make it come to life. Do you feel frustrated? Impatient? Hopeless? Lost? Everything depends on the potter’s control. Never let the clay manipulate you. The material can be intimidating in the beginning, but it is something that you can be friends with eventually. And once you feel the relationship become stronger through time, transformation happens effortlessly. Let the clay collapse between your hands, let it grow as you choke it upwards, let it bend as you fold it going down, let it wobble, let it fly! 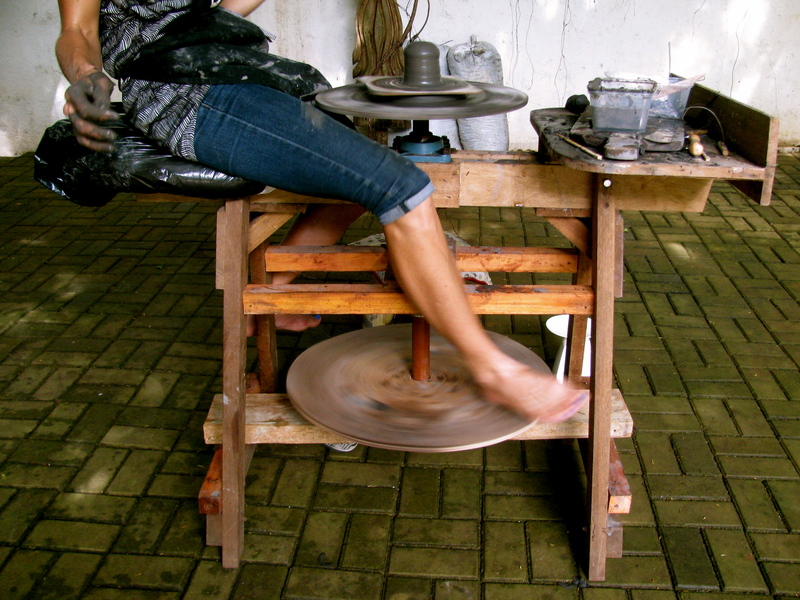 This is a potter’s wheel designed by Susi’s engineer, Kuya Rey. It needs a lot of development but it surely works for now. Thanks to Susi’s patience in kicking the wheel non-stop! I am looking forward to seeing its improved version next year. 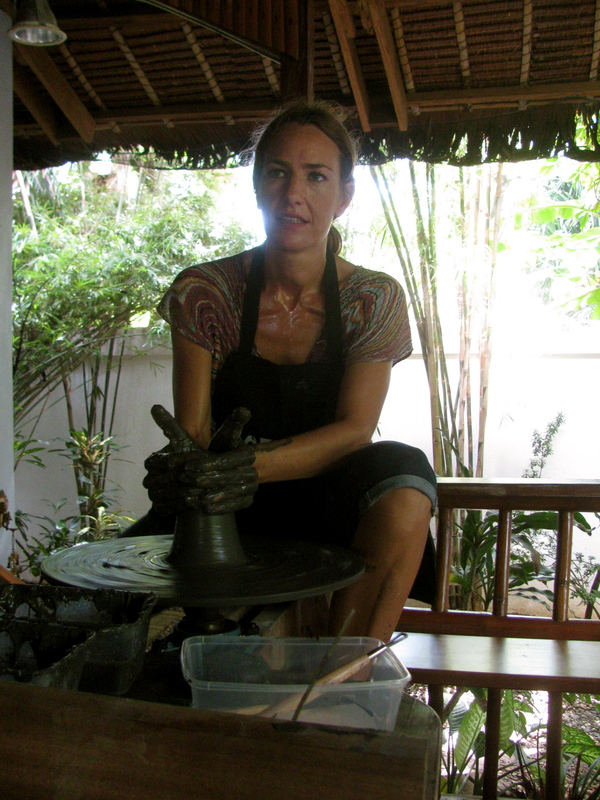 Private pottery lessons in Boracay was a success! No more frustrated days, kicking wobbly clay, Susi! 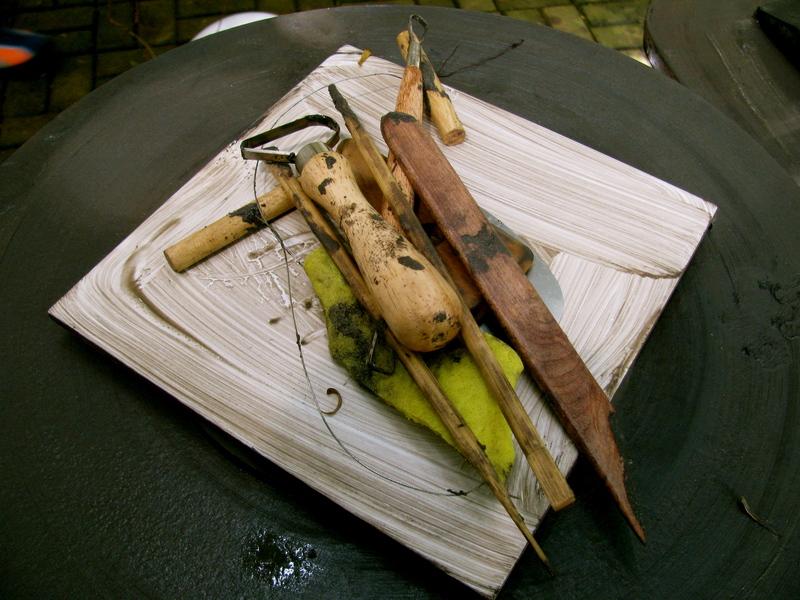 Keep that fire burning for making pots. Surprise me with your creativity and I am looking forward to see photos of your upcoming works. I want to see your beautiful angels with these thrown pots too! You’re a very patient student and I can see that you really want to learn throwing on the wheel. Thank You for your patience and dedication for pottery. We will surely work together some more in the years to come! I’ve said it before and I will say it again. Thank You, Susi and Paolo, for sharing with me your hotel, restaurants, and endless gelato (which I miss very badly by the way). May you be blessed in greater ways that you can’t even fathom! Your hospitality, grace, and warmth, will always be reminded in my heart. One of the great things that I’ve seen on the island is this. 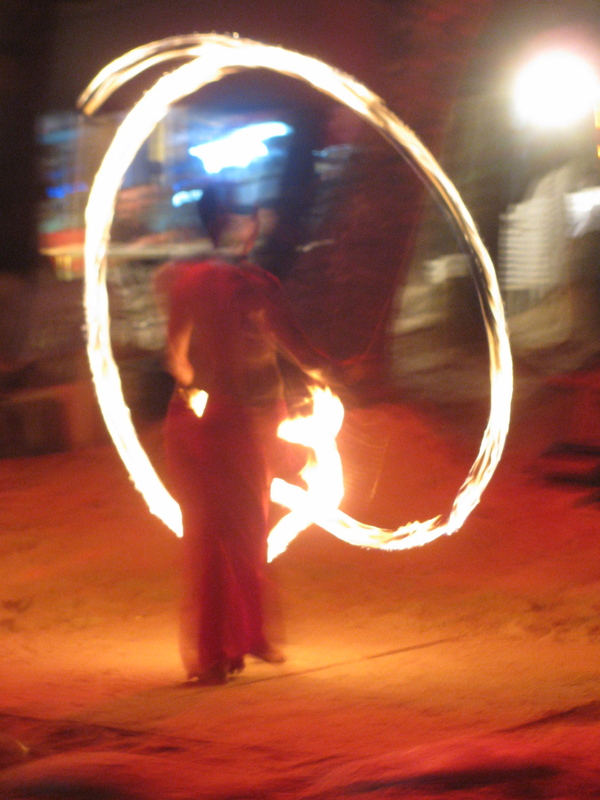 Fire dancing. To some, it is just a shirtless guy who plays with fire. Others may see it as entertainment. It is for me too. It surely entertained my eyes and my soul. Fire speaks of a lot of things. It symbolizes encouragement on my part: To keep my passion for pottery burning, even if there are times when it seems that the flame has completely disappeared. 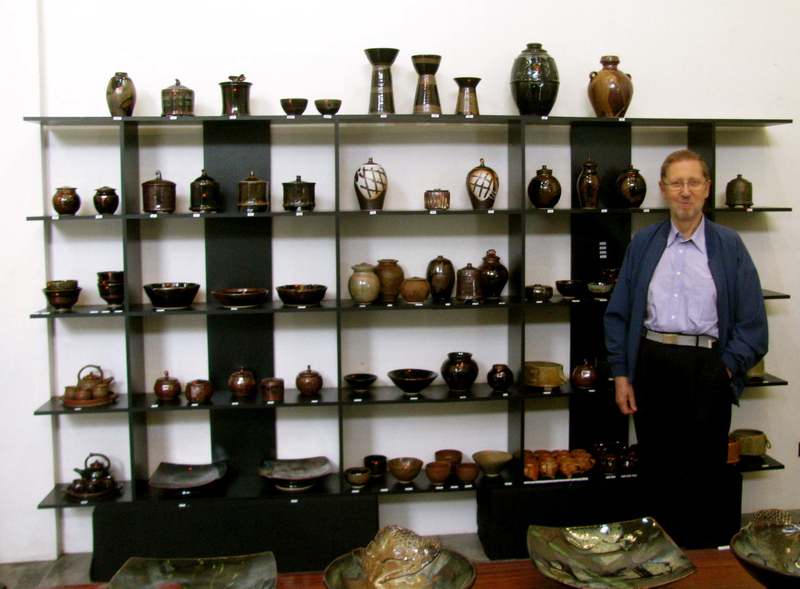 I am believing that my passion for pottery will spread even more like wildfire in the years to come. It will spread, not only for me to enjoy it, but for others to take ownership too. The torch for this forgotten craft will be passed down from generation to generation. To the provinces that I have visited with an abundant source of clay, I will visit you again and meet more of your people. 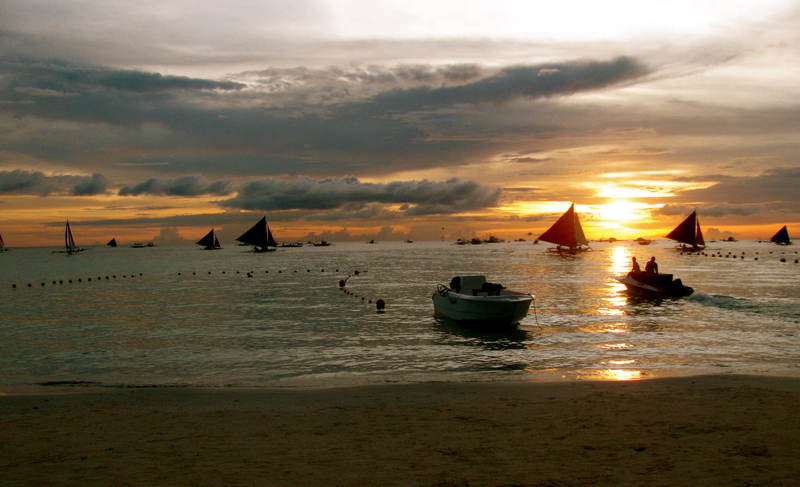 To the island of Boracay, Thank You. Thank You for my restful evenings, excited morning walks, relaxed afternoon stroll around the island, calming swims, and great company of new friends. I will see you again in 2012.